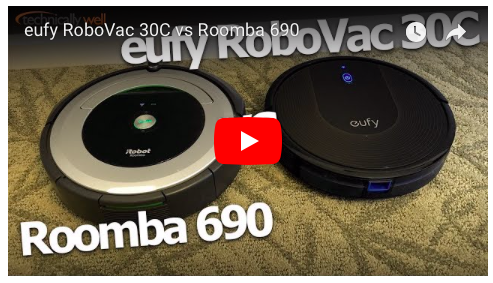 As part of the eufy #WeLoveTesting event, I tested out the eufy RoboVac 30C against the Roomba 690 using the highly scientific "Skittles test." When something goes wrong, while cleaning in addition to beeps does Eufy Robovac show any alerts / messages on Eufy app? Unfortunately, no. I agree it would be a useful feature and hopefully this can be added in a future update! Nice comparison and great review. Though I have only "stupid Willi (11S)" who never heard from such an app and will not follow such one, I suppose the error beebs will not show up at such an app. So Willi doesnt need that. For Eufy RoboVac 30C, it already has a Eufy App integration, so alerts from Eufy RoboVac 30C to Eufy app is a sure-doable item for Anker / Eufy, via a firmware upgrade, I dont see any reason why it cannot be done. error code can not be found by app when using the 30C, which runs that app. You are right this integration is a must. Well done. Nice comparison. Did you drop the skittles on the same spots for each bot? I tried to, but sometimes Skittles have a mind of their own! Nice review, thanks for the video!